One of northern Indiana’s most popular sports podcast shows has partnered with the ISC to begin airing live on Monday nights on OTT and on TV. 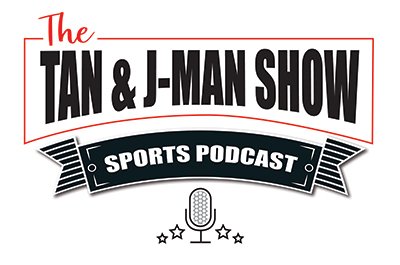 “The Tan & the J-Man Show” from Rochester, Indiana is a weekly sports podcast produced and hosted by two lifelong sports fanatics Tanner Lee and Josh Mundt. “Josh and I both love and have a passion for sports and wanted to have another avenue to share sports news on a local and national level. The ISC Sports Network has a strong reputation within the sports community, and we believe will give us the ability to reach a new audience around the state” said Tanner Lee, co-host of the Tan & J-Man Show. The weekly podcast has produced over 120 episodes to date on Sound Cloud, ITunes, Spotify, Google Play, and Tune In Radio. Tan and J-Man bring a unique perspective to local, college, and national sports including the Big Ten, MLB, and the NFL. The weekly podcast show will be available live starting March 25, 2019 as well as archived copies of each show. For more information on Tan and J-Man, visit their website: thetanandjmanshow.com or find them on Facebook, Instagram, and Twitter. ISC Sports Network is currently available on Apple TV, Android TV, Roku and Amazon Fire TV, as well as directly from ISCSportsNetwork.com. It’s also carried by numerous local cable providers in select Indiana markets.